Similarly to many other jurisdictions, Ukrainian copyright laws do not contain any special provisions that would govern the protection of rights in characters of literary, graphic or audiovisual works. Nor does legislation provide any definition of what should be deemed to be a character from the point of view of copyright law, what characteristics the character should meet in order to enjoy protection and what the scope of protection of the character is. Thus, in establishing whether and how a character is protectable practitioners in Ukraine fill in the blanks in interpreting the limited statutory regulations by resorting to general and scientific conceptual constructs and applying relevant norms of law by analogy. Rights in characters are secured in Article 9 of the Copyright Law, which stipulates that parts of works of art may enjoy protection similar to independent works of art on condition that such parts are capable of being used separately from the work of art itself. Substantial aid in establishing the scope of protection of a character is contained in the Trademark Law, which prohibits the registration, without permission of copyright holders, of names of known works of literature and art, citations or characters therefrom, works of graphic art and fragments thereof. Thus, the statutory regulation of character rights in Ukraine is limited to two norms of the law cited above (Copyright Law). Summing up existing scientific and general conceptual constructs, the conclusion can be drawn that a “character” for the purposes of copyright protection should be construed as a general impression of a personae dramatis created by an artist with the application of a complex of art-specific means of depiction (such as name, appearance, literary description, description of behavior, dress style, way of thinking, vocabulary and language style, characteristics given by other personae dramatis contained in the same work of art, etc.). Taking into account that legal interpretation of a character is that of a “part” of a respective work of art, general protectability requirements for the work of art will apply to character protection. This means, that for a character to enjoy protection, it should pass the novelty, originality and creativity tests as these are applied to the work of art as such. However, a copyright-protectable character should be capable of being used separately (independently) from the work of art to which it pertains. The view is that this criterion should be established in each case individually. However, the fact of use of such a character by a third party in its activity should be considered in favor of such ability, provided that such use creates associations with the work of art from which the character has been borrowed. 1. real characters — representing real historical characters or living persons, whether famous or not. 2. genre-specific characters, i. e. characters commonly used in specific genres, like trolls, wizards or fairies in the literature genre of fairy tales. 3. fabled (invented) characters where an author cannot be established. 4. fabled (invented) characters of works of art that have a known author(s). For obvious reasons, only the fourth type will qualify as a protectable character, subject to such a character meeting the protectability criteria outlined above. It is worth noting that a fabled character should not necessarily represent a living being (such as a human or an animal). Quite often a character can be represented by a material or immaterial object (such as a toy or a ghost) which is not a living being in real life. However, such an object may still qualify as a character when the author vests it with certain features of a living being (such as thinking, speech, ability to move, see, hear, etc.) so that it can contribute to expressing ideas put by the author behind the work of art. Whereas protection of a character extends to the same scope as an independent piece of art would enjoy, it is logical that the name of such a character should also be protectable under the cited Article 9 of the Copyright Law, should it meet the same criteria: i. e. should it pass the novelty, originality and creativity tests and is capable of being used separately from either the original work of art or the character itself. There is the view that in some cases it will be important to establish whether the character name is an independent part of the original piece or of the character itself. Theoretically, this may be important to resolve cases where the original work uses a borrowed character (i. e. a character fabled by a third party) with a protectable name. As an example, the holder of copyright in a movie featuring a protected third-party invented character with a protectable name is hardly capable of enforcing its rights in the name of such borrowed character without respective legal arrangements with the creator of the character, as in this case the character’s creator will possess the right in the character name. It is not uncommon that a literary character to evolve into a character of a graphic or audiovisual work, such as a comic, a cartoon, or a movie. In such uses that character may or may not acquire additional features which are not present in the original literary character. In these situations such secondary characters should be deemed as derivative in relation to the literary character on which they are based. Respectively, derived characters should enjoy protection equivalent to the protection vested in derivative works of art. The creation and exploitation of derivative works of art and, respectively, of derivative characters, requires the consent of (or equivalent legal arrangement with) the creator or holder of rights in the original character. There is a view that the scope of such consent or equivalent legal arrangement should be limited to the aggregate scope of features relevant to the original literary character. The new features specific of the newly created derivative character (such as appearance, peculiar language, moves, etc.) should be deemed to be within the scope of protection of the derivative character. As noted above, a complex of features forming a character and capable of being used independently of the work of art to which it pertains is protected as an independent work of art if it passes the novelty, originality and creativity tests. Thus, the borrowing of a protected character into another work of art requires prior legal arrangements with the creator of such work of art or the character, as the case may be. The view is that such a legal arrangement should resolve such terms of the borrowing as the type and genre of work in which they will be implemented (i. e. a literary work, a cartoon, a movie, a computer game etc. ), the scope of boundaries of creative remaking, if any, imposed by the creator of the original character, terms of subsequent commercial exploitation of the derivative character (i.e. use on goods/services, use in advertising, etc.). 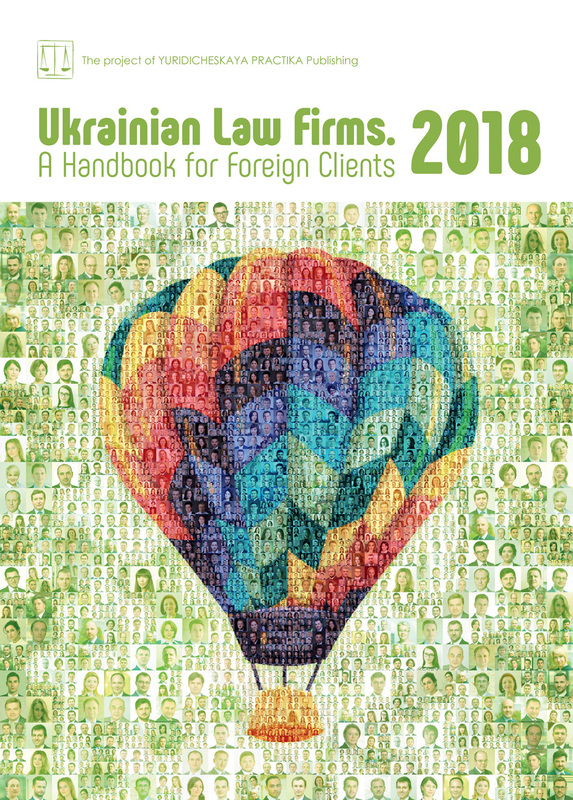 Ukrainian trademark law specifically provides that known characters may not be registered as trademarks without the consent of the respective holders of copyright to such characters. The first unresolved issue which gives room to manipulation is that the Trademark Law does not include any guidance as to what should be considered as a “known” character in order to enjoy protection by the provisions of the Trademark Law. Thus, the discretion to decide whether a particular character is sufficiently known and should or should not be registered as a trademark is fully vested with the trademark examiner. Obviously, consent for registration is not required when a holder of copyright in the character files a respective trademark application in its own name. However, when a character (whether a name or graphic representation or both) is filed as a trademark in the name of a third party, in order to succeed in registering the trademark such third party should be prepared to provide the examiner with documentary confirmation that the holder of copyright to the character has consented to the registration of such character as a trademark in the name of such third party. It is viewed that, among other things, such consent should provide a scope of permitted goods/services and should be perpetual, taking into account that trademark protection is not limited in time. Furthermore, it is good practice to stipulate whether consent is granted to a particular entity or whether it shall also extend to any further assignees of the respective trademark application or registration. When consent is silent on whether it also extends on the future assignees of the trademark, it is not clear from the provisions of the law whether the applicant/registrant should be limited in its right to freely assign the trademark representing a character to a third party. On the one hand, the Trademark Law provides the right of the trademark applicant/holder to assign the trademark application or, respectively, registration to a third party. Assignment of registered trademarks is specifically not allowed by law in cases when it may result in confusion among consumers. Thus, the law is silent as to whether a trademark is assignable in cases when such assignment would violate any third party rights (e.g. rights in a copyright-protected character). On the other hand, consent for registration of a character as a trademark represents a specific type of a copyright license arrangement. According to the provision of the law that governs the licensing of intellectual property, a license or a license agreement should clearly specify the scope of licensed rights. The rights that are not specified in license are deemed to be not covered by it. Furthermore, by default the license is not assignable or sub-licensable unless it clearly specifies otherwise. Thus, when requesting consents for registration of a character as a trademark it is recommended that the consent include wording resolving the further assignability of the applied-for or registered trademark. The conclusion can be made from the above that limited legal regulation of protection of characters requires special care of the parties and involvement of professional expertise when concluding arrangements related to the creation and use of characters.